XayLi Reads: If You Have to Cry Go Outside! | TOKEN DREAD GIRL! XayLi Reads: If You Have to Cry Go Outside! A Few weeks ago, my darling PEN ((fashion blogger and pr girl extraordinaire, find her @ De La Pen)) and I were keeping each other sane at work as usual and she expressed how great this book she was reading made her feel. Unmistakably, being the book junkie I am I immediately logged onto amazon kindle and made my purchase. Needless to say my ride home was numb to everything else that usually occurs the notoriously active A train. (panhandlers, homeless folk ranting, comedians, and dancing high schoolers selling candy for their BBall teams) Just to name a few. 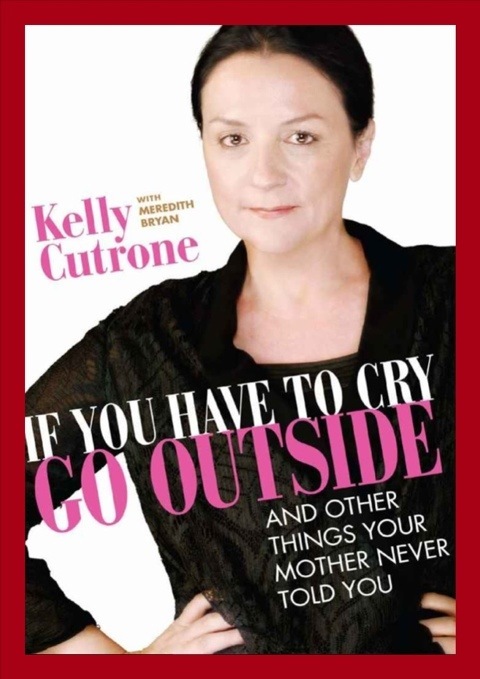 I was instantly absorbed into the world of Kelly Cutrone. Inspired does not even attempt to begin to explain the way I felt by the time I was done reading it. “IF YOU HAVE TO CRY GO OUTSIDE and other things your Mother never told you” is by far one of the most amazing success stories I have ever read. And I genuinely feel like she was telling my own life story but in a different way. I absolutely adore STRONG WOMEN. Ms. Cutrone has her own Fashion PR, branding and Marketing firm called People’s Revolution. She has a long list of very successful Designer Clients and boasts offices in other European countries as well as her NY and LA offices. Where she came from, how she started off and What she created for herself is the most motivational situation ever. I aspire one day to mimic some of her achievements. And some I believe I already have. She stressed such principles as never depending on any one person to determine your own destiny, And going against all odds. Being a Warrior and not a Worrier. She has also confirmed to me that BEING NORMAL ((which I now embrace that I am very far from)) GETS YOU NOWHERE!! She is definitely a role model for young women who are interested in being entrepreneurs, because she knew how to take great risks and she learned how to be disciplined. She is a strong single mother to a lovely daughter. She is just EVERYTHING. This is a must read for every young aspiring woman. It doesn’t matter if you are not interested in either Fashion or PR. Hope, Strong Faith, Ambition, Discipline, Belief in yourself and your Image and Fate will definitely get you where you are going. I have learned through her that I have to Break all Barriers and Live my life to the Fullest!!! And!! 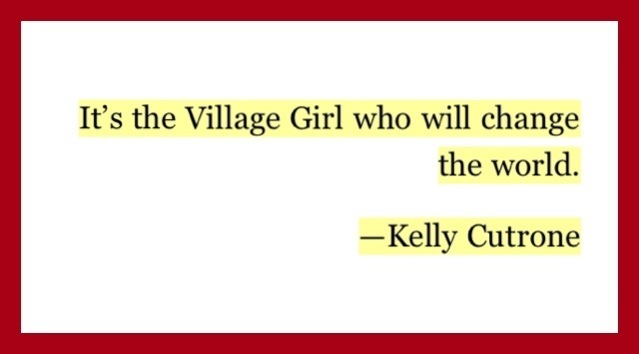 I def am a Village Girl. I’m sooo ready!!! And Changing the World is definitely on My agenda! Sounds like a pretty amazing book!